Verifies that shapes can be filled, stroked and the order of filling and stroking. 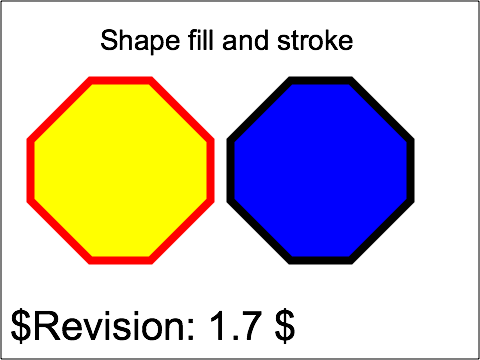 There is one pair of octagons. These are filled plus stroked. 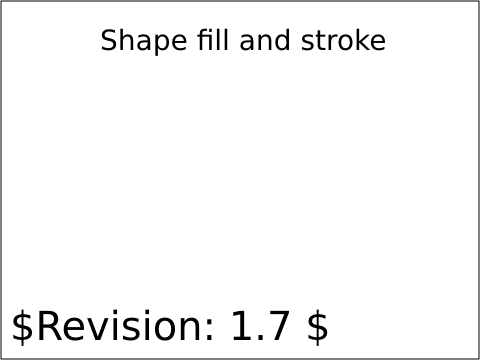 The rendered image should match the reference image except for the text which may show minor layout differences. The test uses the 'rect' element, as well as basic fill (solid primary colors), stroke (primary color 1-pixel and wide lines), font-family (Arial) and font-size properties - the common prerequisites.